Cozy, rural FH. at the DT Fehnroute. Kitchen, washing machine, dryer, 2 single bedrooms, each with pull-out bed.-u. 2 double bedrooms, cot. .Ess.- / living room, WC, 2 shower / WC. Towels included. Large garden with terrace. Outbuildings for bicycles and fishing gear, as well as games, sandpit u. Trampoline. On our dairy farm (about 400 m), the children are welcome to help. Hier ist alles was man für einen entspannten Urlaub braucht. Eine gepflegte Unterkunft und vor allem die weite Landschaft direkt vor der Haustür. Wunderbares Haus für einen Familienurlaub! Es war ein ruhiger und fantastischer Urlaub im Ferienhaus. Es fehlte nichts und wir haben uns sehr willkommen und wohl gefühlt. Gerne kommen wir mit Kind und Kegel wieder! Ein sehr geschmackvoll eingerichtetes Ferienhaus. 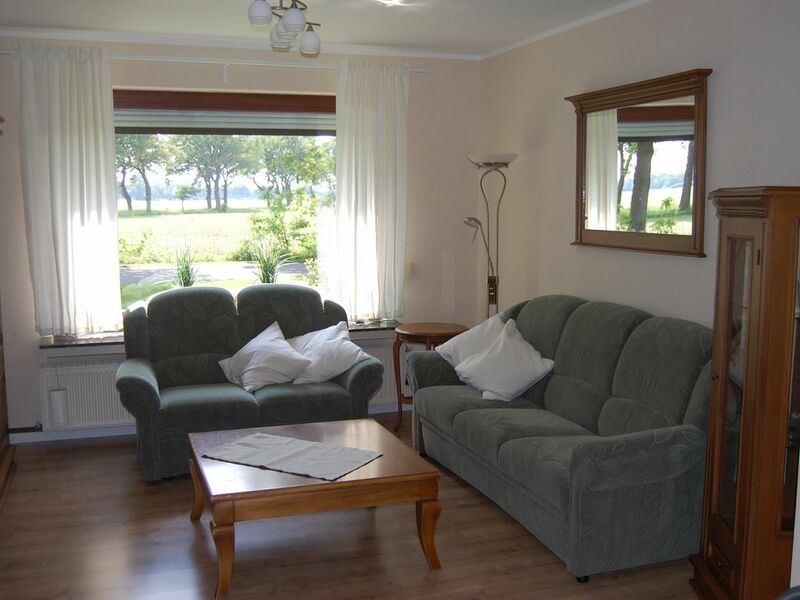 Dieses Ferienhaus ist für einen komfortablen Urlaub bestens geeignet, an alles wurde gedacht und mit Herz und Verstand eingerichtet. Der große Garten lädt zum Verweilen und Spielen ein. Every year on the day of Ascension Day, the giant flea market takes place far beyond the borders of Lower Saxony. On a length of almost 10 km, the promenade stretches along the idyllic Elisabethfehn Canal. A paradise for collectors and bargain hunters. Information on the 163 km long German Fehnroute, which is signposted as a car and bicycle route excellently in both directions. Ostfriesland is a water country - apart from the sea. So why only explore the country on land by pedal? A completely different perspective opens up the variety of attractive waterways to get to know the inland. Breathtaking insights into this unique landscape are provided by the moor adventure route. The cycle path is around 100 kilometers long and surrounds the 5000-hectare bog area "Esterweger Dose". On the holiday route "pit stop route" and the same cycle route you are guided to experience stations of the way of life in the countryside - pit stops to refuel, breathe deeply and well-being.